If you have any questions or want to enquire about dates, use our form to contact Alain et Françoise Alter or see their website for more information. Lavender fields are the backdrop to this Provençal mas; cicadas and birdsong the soundtrack. A fortified medieval farm, its high stone walls and rocky bluff now enclose the owners’ house and three eco-friendly gîtes that gaze south and west to the village. Bastide and Fenil are the family cottages, with large living areas, geothermal heating and corner kitchens. Bastide has wicker chairs, shelves sunk into chunky stone walls, a vine-shaded terrace; Fenil, up in the hayloft, has sweeping views and a cast-iron table under a chestnut. Simple bedrooms have floaty curtains, Provençal paintings, plain furniture; a touch of luxury in king-size beds and shiny bathrooms (only one in Bastide). For couples there’s L’Etable, a rustic studio whose mint-green doors frame views of terrace, gardens and deep (but fenced) natural pool. Also: a solar shower, hammock and electric barbecue for grilling sausages from the village market. Beyond, a sleepy stream with a hump-backed ‘Roman’ bridge, a new cycle path, farms, fêtes and inspiration for painters and poets in Luberon natural park – gentle Alain and Françoise will advise. Minimum stay: 7 nights in high season. Short breaks available. Pets by arrangement. Price includes cleaning & linen. A sincere thank you to Alain and Francoise for a memorable and most enjoyable stay at Le Mas de la Baou. You have created a very special place and we appreciated your willingness to impart your local knowledge of the area. We hope to return! Where to start? We stayed in the studio gite, L'Etable, with its view of Cereste, the lavender field, the beautiful and interesting natural swimming pool and the list goes on. With a partially shaded sitting out area it was the most perfect place to relax and listen to the birds and the frogs! Every morning we walked through the lavender field to the local boulangerie for croissants. Can it get better than that? Francoise had prepared a list of 'must do and see' in the beautiful Luberon area. We can't wait to return and we haven't even started on the restaurants yet. We loved it. Fantastic accommodation, on a beautiful property, in a picturesque location. As a couple with a toddler the Mas offered us an ideal base from which we could walk to a supermarket, restaurants and bakeries, but is rural enough that we truly felt we were "away from it all". Françoise and Alain are kind and knowledgable, and the renovation of this amazing building is clearly a labour of love. Our little one loved the shallow area of the natural pool and will now expecting live frogs on every swimming trip! Our group of nine had a most wonderful week in this beautiful setting, the accommodation was excellent, spacious and all renovated in the most authentic style with great taste. Francoise and Alain managed to be available, very welcoming and discreet at the same time. We loved the beautiful pool, the views over the lovely grounds, the space and light as well as being able to walk across the lavender field into the village (especially for ice-cream) - in short, we loved it!! We stayed in L'Etable and had a wonderful fortnight. The accommodation was comfortable and spotless. The environment of the site is beautiful with extensive gardens, wildflower meadows and it's own lavender field. There is shared use of a delightful ecological swimming pool. The owners, Francoise and Alain live on site and are very attentive and helpful. They have a wealth of information on local places of interest and walks which they are happy to share. 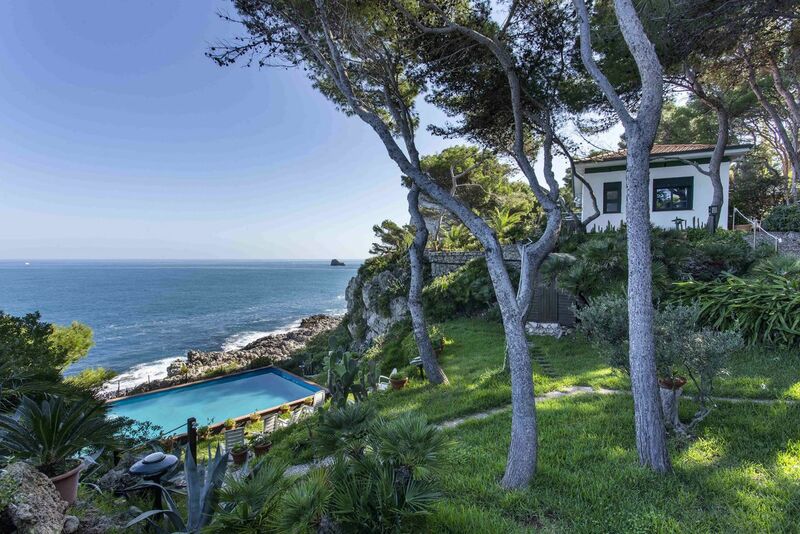 La Mas is close to the village of Cereste which has all necessary facilities as well as several restaurants. Throughly recommended. 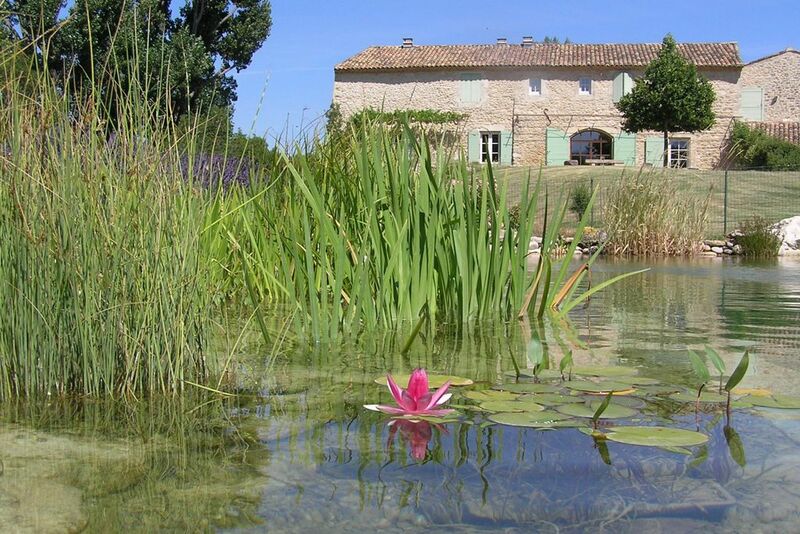 A beautifully high quality, private gite in the most stunning part of the Luberon. We planned to travel around but had everything we needed on hand here and found ourselves staying very local. Owners are gentile and intelligent, this shows in the stunning renovation they have done here, surrounded by nature and ecologically conscious considerations all around. You really won't want for anything if you stay here - more time!! We even found a place in Cereste that produced gluten free pancakes (Gallettes made with buckwheat), a bonus for coeliacs!! Lavender organic ice cream next door too! We spent an amazing week staying at the Mas de la Baou. The location is perfect, with all the attractions of the Luberon and Provence close by. Knowing the region already we were happy to spend a lot of time relaxing around the grounds of the gite, beside the pool or sitting on our “terrace” in front of the gite. L’etable was exactly what we needed, and with all of the outdoor space we had a little corner of heaven. Francoise and Alain could not have been more friendly, welcoming and hospitable. We could happily have stayed forever, and will be visiting the Mas de la Baou again very soon. My family and I had a simply delightful time at Le Mas de La Baou last August. It was a very peaceful location and we really enjoyed swimming with the frogs! Alain and Francoise could not have been more welcoming. They were ready with a wealth of information about the surrounding area, which is so very fascinating. We needed a month, not just a week, to take it all in. Alain and Francoise's jam was simply delicious and many of my friends and relatives have enjoyed the lavender essence which I also bought there. If you are thnking of making a booking, then do! You will be so pleased you did! Do you like walking through the thousand scents of the Mediterranean scrubland? You won't have time, in a week or even two, to enjoy all the trails we will advise you to walk. You'll want to come back! Swimming in our natural pool surrounded by flowers, is a rare treat. You will feel the true purity of water without chemicals, and you will see the small animals that live in plants: frogs, tadpoles, dragonflies ... Your kids will love it for sure! There are European beavers dams on the creek near our home. The discovery of ocher mines and superb trails between orange cliffs will be a highlight of your stay.